Aamir Khan is an Indian actor who was born on March 14, 1965. Aamir Khan's recent filmography includes the movies Dangal (2016) and PK (2014). Aamir Khan has a small following on Spotify with only about 3,700 followers and a popularity score of 31 out of 100 as of 2018. His most popular track on Spotify is "Roobaroo" from the album Rang De Basanti (Original Motion Picture Soundtrack). There are about 30 movies featuring Aamir Khan as of 2018. Some of the most recent Aamir Khan movies include Dangal, PK, and Dhoom 3. 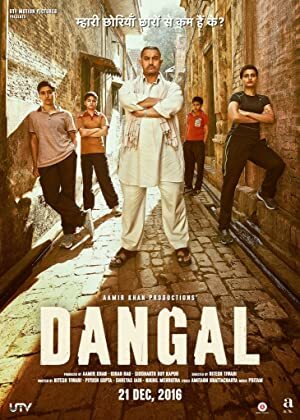 Dangal, released in 2016, featured Aamir Khan as Mahavir Singh Phogat. PK, released in 2014, featured Aamir Khan as PK. Dhoom 3, released in 2013, featured Aamir Khan as Sahir Khan/Samar Khan. As of 2018, Aamir Khan has 3,700 followers and a popularity score of 31 on Spotify. Rang De Basanti (Original Motion Picture Soundtrack) and Lagaan (Original Motion Picture Soundtrack) are some of the more popular Aamir Khan albums. Notable tracks from these albums include Roobaroo, Rang De Basanti, and Radha Kaise Na Jale. Roobaroo has a popularity score of 52 out of 100, making it the most popular track from Aamir Khan. Rang De Basanti and Radha Kaise Na Jale have popularity scores of 47 and 45, respectively. The Spotify popularity score is on a scale from 0 to 100 and reflects the number of times the song has been played and how recently it has been played.